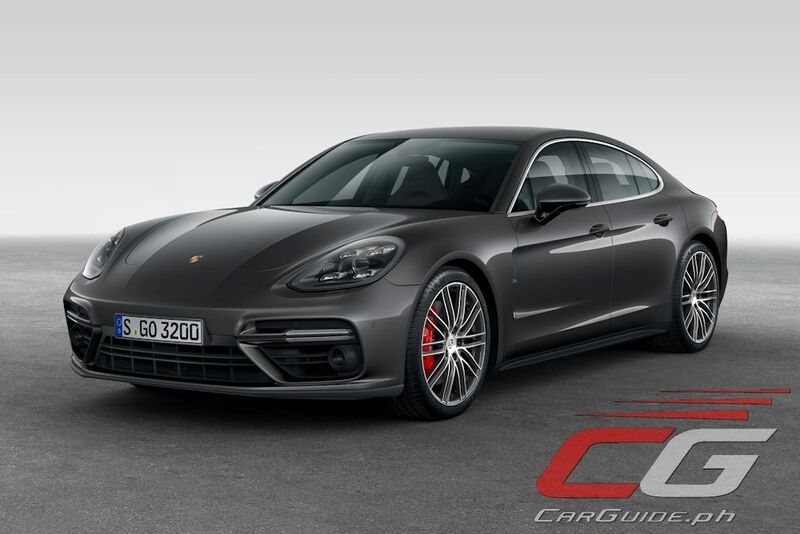 The world’s only true sports car in the luxury sedan world, the Porsche Panamera, sees a complete revamp that now makes it a true embodiment of a luxury sedan and sports car in one. Developed for sports car drivers who appreciate the comfort of four doors and four seats, the all-new Panamera packs high-performance capabilities with true grand touring comfort. 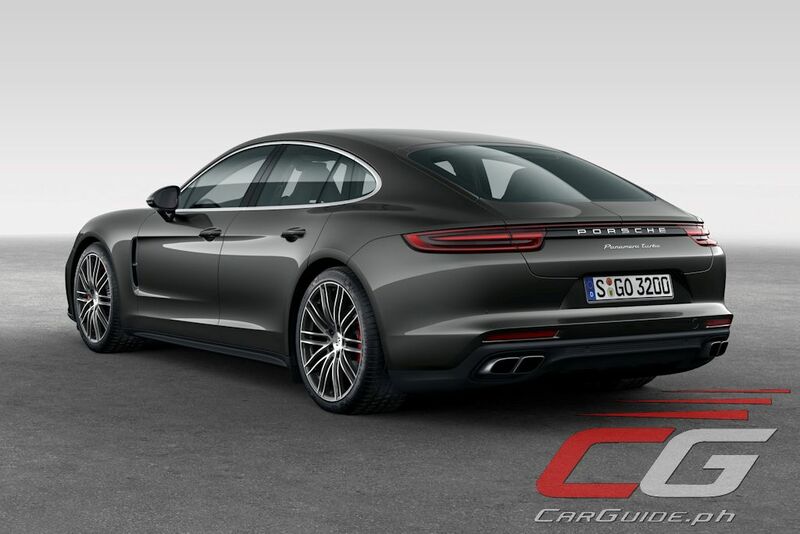 Sticking close visually to the previous Panamera, it continues to hark back stylistically to the 911 by having long, dynamic proportions, pronounced shoulders, athletic flanks, and a dynamic roofline that is 20 millimeters lower at the back. The proportions are longer, wider, and taller not only giving it added road presence, but also improving the interior space. Inside, it boasts of new levels of comfort, convenience, and connectivity seen in the Porsche Advanced Cockpit. Black panel surfaces and interactive displays combine visuality with intuitive interfaces while also reducing the number of hard keys and conventional instruments. Despite the increased range of functionality, Porsche says the all-new Panamera is more ergonomic and easier to use than before. 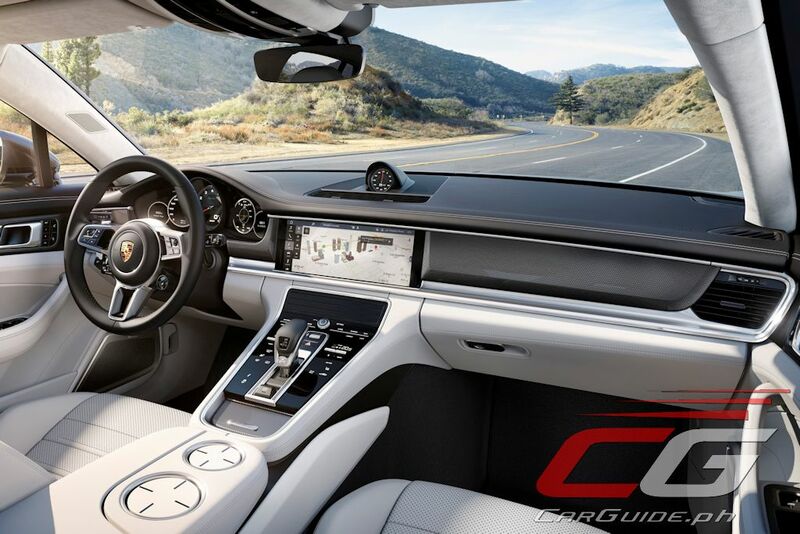 The new-generation Porsche Communication Management or PCM offers a 12.3-inch touchscreen display. The operating system is now “tile-based” and operable with both gesture and multi-touch control just like a typical smartphone. Moreover, the screen itself recognizes handwriting. Standard on the Panamera Turbo is a Burmester sound system with 20 direct-driven speakers and one subwoofer. 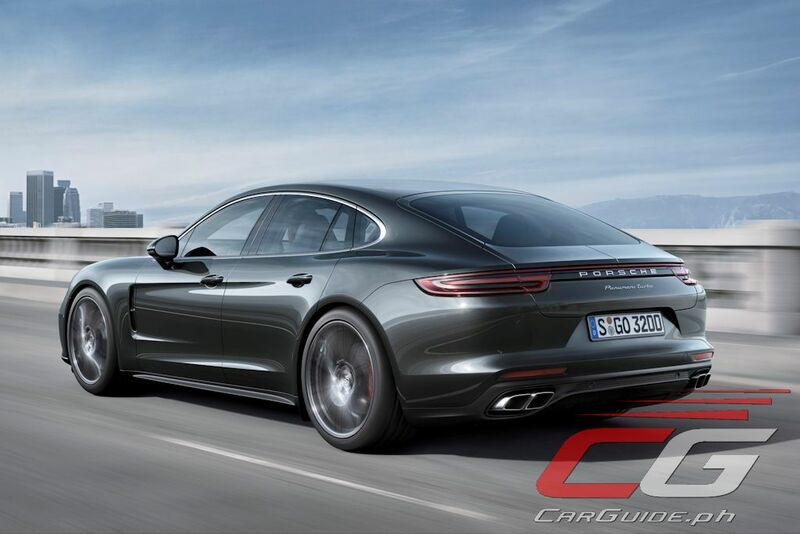 The all-new Panamera lives up to its gran turismo promise by having a family of V6 and V8 engines. 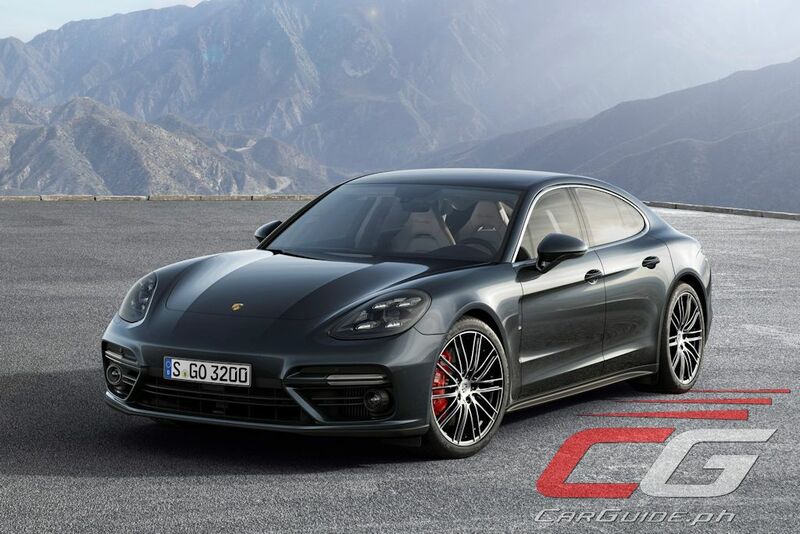 Initially, the Philippines will offer only the Panamera Turbo powered by a new twin-turbo V8 engine cranking out 550 horsepower and 770 Nm of torque from as low as 1,960 rpm. Equipped with the Sport Chrono package, it rockets this four-door to 100 km/h in just 3.6 seconds and a top speed of 306 km/h. 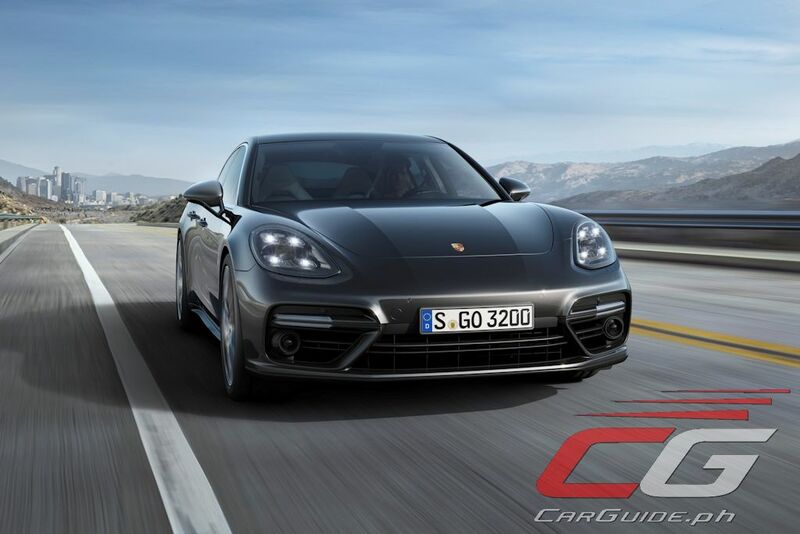 Improving the Panamera Turbo’s fuel economy, it has Porsche’s first adaptive cylinder control system which turns off half its cylinders when not needed. The activation/deactivation is controlled by the VarioCam Plus with a two-stage sliding cam system. Turning into 4-cylinder engine, the Panamera Turbo offers 30 percent better fuel economy. Connected to the engine is Porsche’s first 8-speed dual clutch automatic or PDK transmission. Designed for torque ratings up to 1,000 Nm, it offers a better gear ratio spread improving comfort and reduced fuel consumption. Benefitting from all that power, the Panamera now has an enhanced double wishbone suspension. Featuring technologies such as forged aluminum transverse links and a rigid bolted aluminum subframe, it allows for increased precision and agility. The all-new 2017 Porsche Panamera is now available for viewing and order at Porsche Centre Philippines located along EDSA, San Juan. Porsche is exclusively distributed in the country by PGA Cars, Inc.